What is mAadhaar App? How It Works and How to Download It? India is moving towards digitization at a very fast pace and in such a scenario how can the most important thing be left behind? Aadhaar card is undoubtedly the most important document of today and it is certainly impossible to survive without one so to make it easy for people, UIDAI launched mAadhaar Application for the people. Now you must be having a lot of questions about this application and here are the answers to all your questions. 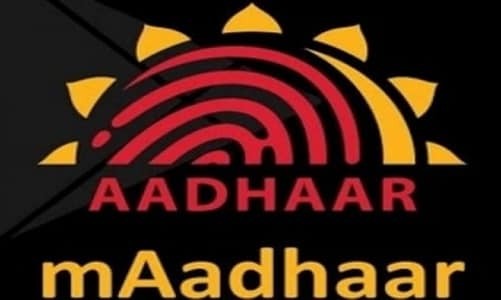 mAadhaar is basically an application launched by UIDAI and the main purpose of this application is to eliminate the need for carrying the Aadhaar in a physical copy. The application lets you carry the Aadhaar card digitally and the same is acceptable at any place. You can use this digital Aadhaar at all the domestic airports and in addition to this, the application can be downloaded on any Android mobile phone. The application is still not available for iOS. The mAadhaar application can help you in many other ways and the application makes it possible to lock the biometrics or to generate a time-based OTP for carrying out secure transactions.Let us have a look at the other details of mAadhaar Application. How does mAadhaar App works? The application can be downloaded by anyone but you need to have a mobile number registered in the Aadhaar database to use the application. If your mobile number is not registered then you would have to visit the Aadhaar enrolment center to register your mobile number. Once your mobile number is registered, you will be able to use the application. The application enables the user to access the biometric locking system by which the user can lock the biometric details stored in the Aadhaar database. For any KYC purpose wherein the user needs to give a fingerprint scan, the user can simply unlock the details from the application during the KYC process and the user can then again lock the biometrics. In addition to this, the UIDAI will soon provide the virtual ID access to the people with help of this application so you would not have to share the Aadhaar card details with anyone. How to download mAadhaar Application? Downloading mAadhaar Application is quite simple and here are the steps for the same. If you have a phone running on Android 4 then you can install the application and to install the application, you can click on the download link mentioned at the bottom of the page. The link will redirect you to the Google Play Store page of the application. Once you have installed the application, you can initialize the application and it will then prompt you to create a password. Create a password using the wizard and you will then be prompted to enter the Aadhaar details. Entering the Aadhaar details will trigger an OTP request on your registered mobile number and you can enter the OTP to complete the registration.